When you are driving on long trips while making use of your phone or smart devices like tablets or iPads, you may need to recharge your phone to stay connected or even so that you may listen to your music playlist or podcasts as you drive. Since most vehicles have no USB charging ports, it has become quite necessary to have a car charger with at least one USB port for charging. 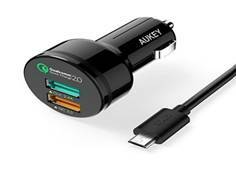 Car cellphone chargers vary considerably and you may need to pick one that perfectly suits your needs. These reviews will probably make it easy for you to choose the kind of charger that works best for you. 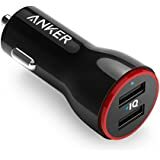 This car charger comes with the benefits of iSmart Technology where it detects and delivers automatically the optimal charge for safe charging in a very short amount of time. The two 2.4A iSmart ports are able to charge large and power-demanding devices. 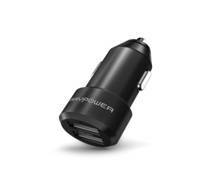 Voltage with this RAVPower car charger remains constant for devices to be charged safely and efficiently. 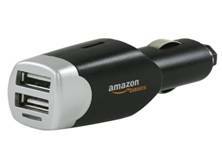 This car charger is one of the smallest metal car chargers in existence, with a sturdy and compact body made from aluminium alloy. Its circuitry is of top-notch build with the ability to safeguard your phones and devices from over-charging, short-circuits and high temperature. 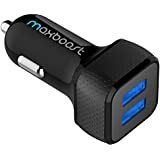 This ultra-portable universal car charger is very powerful and durable, and features one 2.4A USB port that gives it the ability to charge your device with great speed. The 2.4A smart port output is compatible with devices made by Apple, HTC, Motorola, Samsung as well as other smart devices. It also comes with a Qualcomm Quick Charge 2.0 enabled 3 ftMicroUSB cable. It also features a soft-glow LED Halo ring round the charger for easy use in dark places or at night. The LED is softened to prevent distraction as you drive. 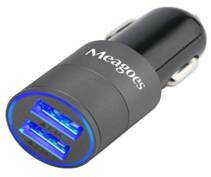 This car charger is compatible with most smart devices. It is extremely portable and light so that you can carry it in your purse or pocket. 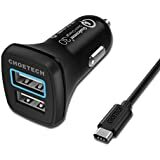 This car charger comes with the latest Qualcomm Quick Charge 3.0 technology where devices can be charged as much as 4 times faster than ordinary car chargers. It is also compatible with devices having all earlier versions of the Qualcomm Quick charge (1.0, 2.0 and 3.0) technology. Its smart charging technology enables it to meet the power charging needs of any device at optimum speed. The USB-C Cable it comes with is compatible with the latest in Type C supported devices like the LG G5, the HTC One A9, the Lumia 950xl/950, the HTC 10, the Samsung Galaxy Note 7, OnePlus 3 and many others. With this charger, you are guaranteed of safe charging for your device and protection against excess current, short-circuits and overheating damage. 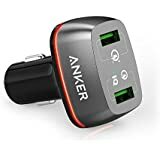 This car charger from Anker combines the technology by PowerIQ and VoltageBoost to give you up to 4.8 Amps of charge speedily with both ports giving up to 2.4 Amps each. 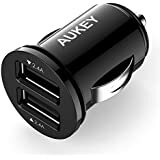 This car charger is one of the smallest dual port chargers in the market, and is designed with soft LED lighting to enable you locate the ports in the dark with minimal distraction. Apart from the friendly customer service you get from Anker, you also get an 18-month warranty so that you can relax and enjoy. 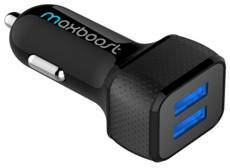 This charger could easily be the fastest dual port car charger you can find for any tablet or phone. Quick charge 3.0 powers the Power Drive+2 while the Power IQ does the same with the Quick Charge 2.0 for the fastest charging possible. It also comes with a Multi Protect safety system to ensure that your devices charge safely. Its premium compact design is unique with a zinc-alloy finish, and an LED halo light on the charger makes it easy to plug it in conditions with low lighting.The 18-month warranty and friendly customer service will certainly keep you loyal to this product. 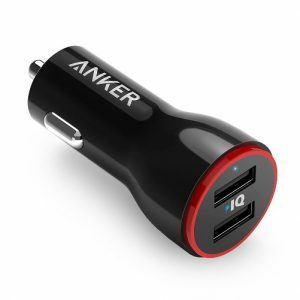 This car charger is able to detect the connected devices’ input current using AiPower adaptive charging technology to optimize the compatibility and the charging speed up to a maximum of 2.4 A per port. However, the car charger is not able to support Nexus 6P and 5X or even Qualcomm Quick Charge. With a total output of 4.8A from both standard USB ports, this charger makes it possible to charge at full speed two tablets or phones simultaneously. Its circuit design protects your device from overheating, over-charging and excess current. 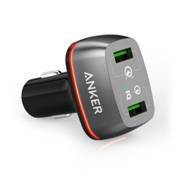 Its compact design makes it one of the smallest, most powerful dual port car chargers. This charger is a popular choice for many and features dual smart ports of 2.4A maximum output each. 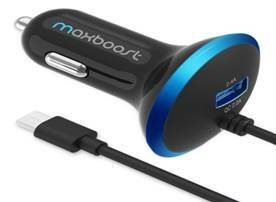 Charging two mobile devices simultaneously is possible with this car charger. It comes in a low-profile design that reduces the charger’s size significantly. The durability in the design of this charger is ensured by the double-injected frame and the outer thermoplastic polyurethane gives the charger some softness in its grip. The USB ports are universal such that you can easily connect almost all kinds of mobile devices. The in-built LED light enables charger connectivity in conditions of low lighting. This charger utilizes the benefits of the Qualcomm Quick Charge 2.0 technology for which compatible devices are charged 75% faster than those that are not. The ports use AiPower adaptive technology for charging to ensure safety when charging up to a maximum of 2.4A per port. The charger is able to charge Bluetooth headphones, dash cams, speakers, smartwatches, and mobile devices like Android, Apple, Samsung and others. The advanced EntireProtect circuitry protects your device from overheating, over charging and excess current. The car charger also comes with a 2-year warranty. 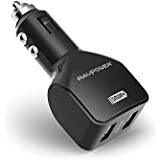 This car charger enables you, through the dual 2.0A ports, to charge two of your Apple or Android devices at full speed simultaneously.It also has a soft LED light that will ensure you connect the charger correctly in low lighting. The charger is compatible with Android, Apple and Fire Phone cables for charging tablets and phones. A 1-year Limited Warranty covers the product. 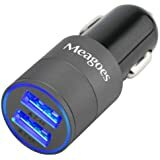 Meagoes Fast USB Car Charger is a stylish, ergonomically-designed car charger made for you to conveniently connect your device using a USB cable for charging. It has a non-distracting blue LED light and a multi-annular design to make it easy for you to insert as well as unplug the USB from the charger. Most devices ranging from Blackberry, LG, Android, Apple Samsung and many others are compatible with this charger. Its intelligent circuitry keeps your devices safe by preventing overheating, overcharging and short-circuiting, and once your device is fully charged, charging stops automatically. The charger is also made from fireproof material for your safety. The charger will not cause any interference with the Wi-Fi, Bluetooth or Radio signals. 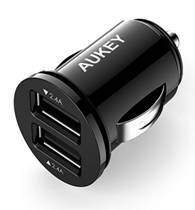 Before you buy a car charger, make sure you buy one that will be compatible with the device you are using. 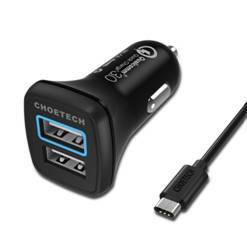 You may also need to get a multi-port charger if you have several devices that you may want to charge from your car. It is probably a good idea to get one that has an LED light that makes it easy to fix it in the dark.